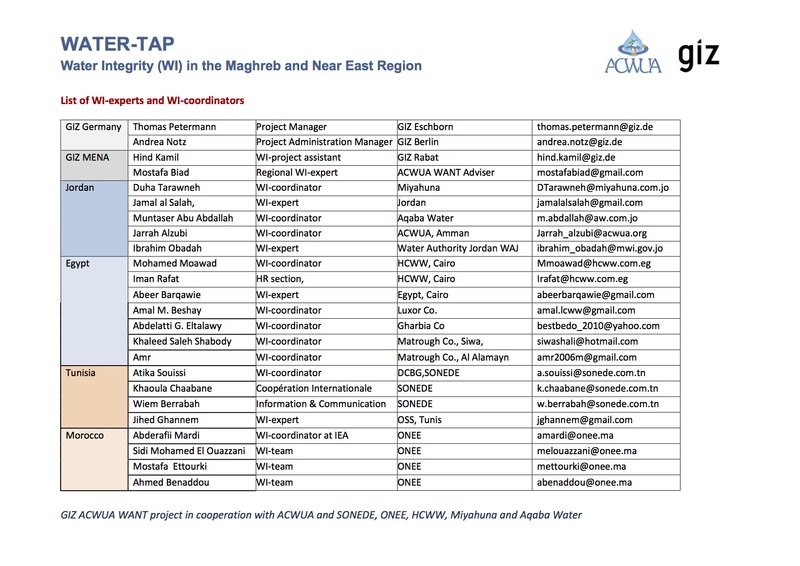 This initiative with the Arab Countries Water Utilities Association (ACWUA) and its members started in 2012. 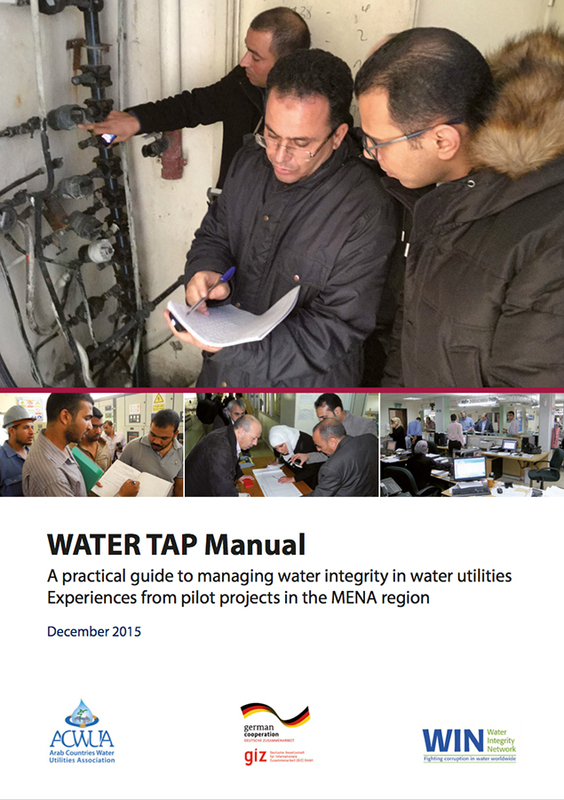 Water TAP is implemented in a test phase at regional and national levels with ACWUA and Water Utilities in Morocco, Tunisia, Egypt and Jordan. Water Integrity is an important determinant on how water resources and water services are governed. The goal is to allocate, distribute and value water in fair and efficient ways for all water users through improved integrity and compliance systems in water institutions. Financial transactions and resources allocation between all stakeholders in the water sector (water service providers, public, private, water users) should be transparent and accountable and include as many stakeholders as necessary. Water Integrity is related to Water Governance (or Work Ethics) and can be seen as a part of Compliance Systems. 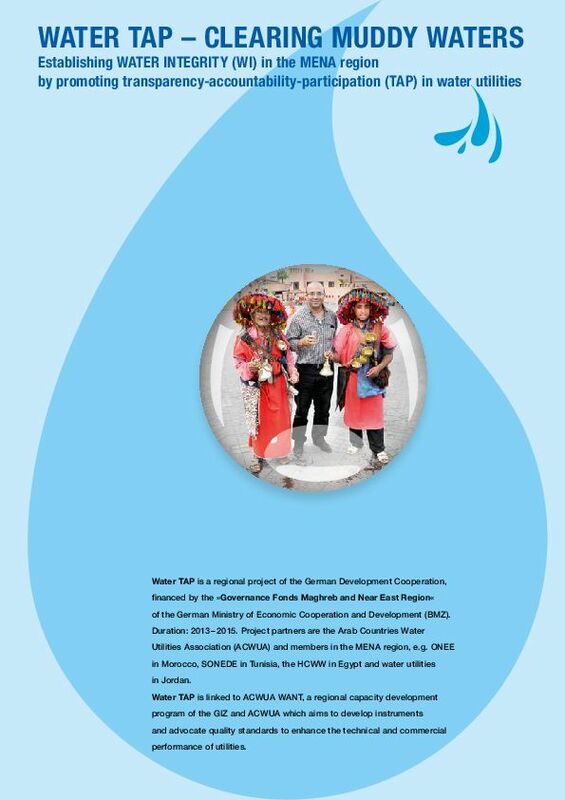 Water TAP is a regional project of the German Development Cooperation, implemented by GIZ and financed by the Governance Fonds Maghreb and Near East Region of the German Ministry of Economic Cooperation and Development (BMZ) during the period 2013 to 2015. The initiative to strengthen Water Integrity in the Arab region started in 2012 at the Best-Practice-Conference in Oman, when senior managers from more than 20 utilities welcomed the initiative with ACWUA as the regional promoter and advocate. 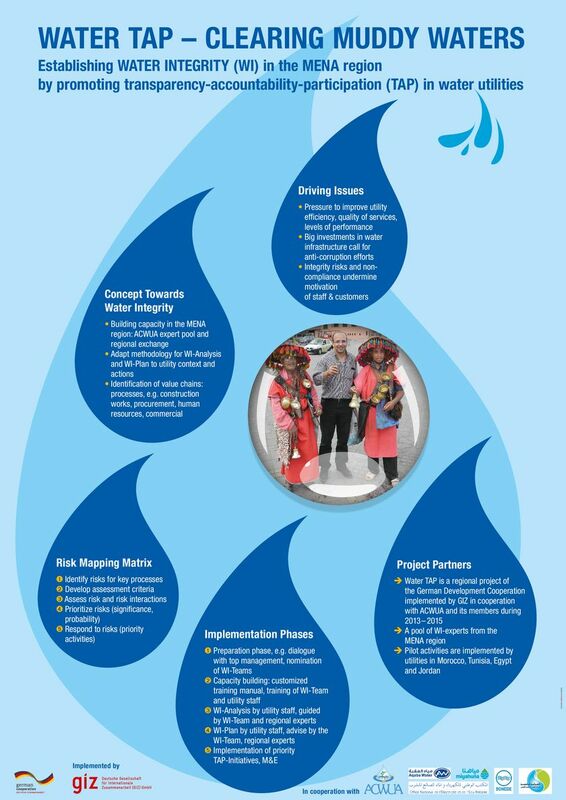 The Water TAP Project developed guiding principles and a concept to focus on concrete actions to implement water integrity in Water Utilities. 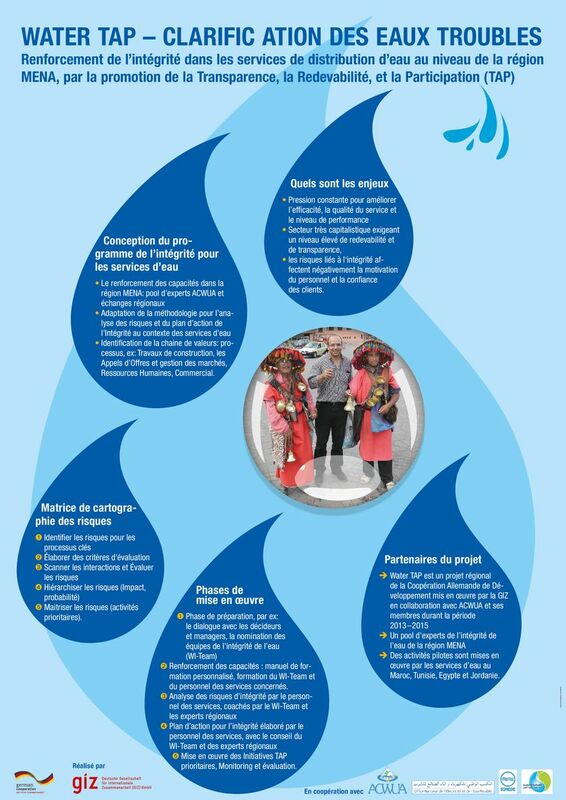 It is based on the selection of value chains or processes in water utilities, e.g. procurement or service for payment circuit. The library refers to relevant readings and sources provided by the Water Integrity Network (WIN) and to other relevant publications available free on the web or to material that is available by our partner organizations for further dissemination. The library displays also key references from Transparency International, UNDP, SIWI, et al.